With any new technology comes confusion about how it works. 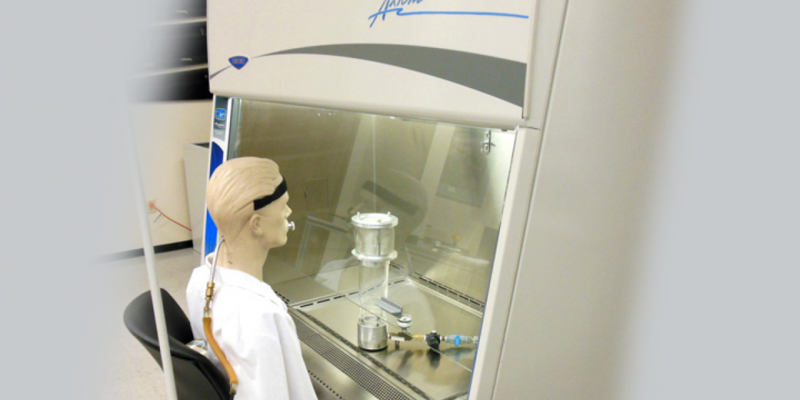 The Type C1 truly breaks the mold for Biological Safety Cabinets. Let's dispel some of the myths around the industry-changing Type C1. MYTH: The Type C1 designation is not recognized by NSF/ANSI 49. TRUTH: NSF/ANSI Standard 49-2016 recognizes and defines the Class II, Type C1. “As noted in the official NSF Listings online at http://info.nsf.org/Certified/Biosafety, Labconco models 30441, 30448, 30461 and 30468 do not fall entirely under the ‘A’ or ‘B’ cabinet type definitions in the 2012 version of NSF Standard 49. However, they were found to meet the materials, design, construction and performance requirements of NSF/ANSI 49-2012, and as such, were Certified by NSF International. “Standard 49 allows for cabinets that vary in design, construction, or installation of accessory equipment, if appropriate tests and investigations indicate that the equipment is durable and reliable, can be cleaned and decontaminated, and performs in conformance to the Standard. The aforementioned Axiom models were tested by NSF International to Standard 49 in both recirculating mode and with direct exhaust. In 2017, NSF International defined a new type of BSC that was included in the 2016 version of Standard 49, giving the official stamp to the unique status of this BSC. The NSF International website lists the Class II, Type C1 Purifier Axiom Biological Safety Cabinet, officially making it the World's first of its kind.. So what is the crucial difference if NSF had to create a new distinction? MYTH: The Type C1 is basically a B1 BSC in terms of airflow pattern. TRUTH: There are key differences in the airflow patterns of the Type B1 and Type C1. Air is not clearly and safely segregated at the work surface in the B1; however, the C1 emphasizes a specific zone safe for chemical use. A second internal blower gives the Type C1 dynamic control to safely exhaust contaminated air. MYTH: The Type C1 requires specific instructions to ensure that users work in the exhaust portion of the work zone. TRUTH: The Type B1 is actually the only cabinet that requires specific and special instructions. Special instructions for operating a B1 help ensure that users work in the appropriate area of the BSC’s interior. For all other types, including the C1 Axiom – users simply work inside the dished work surface. No specific work instructions required. In a Type B1, the air behind the invisible moving smoke split is directly exhausted. When using chemicals, this is where the operator must work – an operational requirement known to cause fatigue, mistakes and injuries. In a Type C1, the air entering the Chem-Zone – a full depth, perforated, single pass exhaust airflow work surface – is dedicated to being safely exhausted from the BSC. There is no guess work. MYTH: The C1 does not use laminar flow air within the cabinet. TRUTH: The Axiom BSC does use laminar flow. Although the air is divided at the work surface, a continual and equal downward force prevents chemical or biological hazards from getting into the user’s breathing zone. “Designed by microbiologists, for microbiologists," by Jessica Burdg.